In August, Mazda announced a number of new premium features for the 2019 CX-9, as well as a slight price bump over the outgoing model. New features include standard smartphone integration via Apple CarPlay™ and Android Auto™ on Touring trims and above. Mazda has also updated the 2019 CX-9’s suspension for a quieter ride and has added thicker floor mats and a thicker headliner. In addition, the 2019 Mazda CX-9 Touring model will get a new frameless auto-dimming rearview mirror. If you opt for the Touring Premium Package, Mazda adds a SiriusXM® subscription with Travel Link® Services. The Grand Touring trim gets ventilated front seats, a 360-degree View Monitor, and more. The Signature trim adds a Santos rosewood interior trim. The 2019 Mazda CX-9 Sport with front-wheel drive retails for $32,280 while i-ACTIV AWD® variant goes for $34,080. The Sport Package goes for $1,290 more. The 2019 Mazda CX-9 Touring with front-wheel drive retails for $35,330 while the i-ACTIV AWD® variant goes for $37,130. The Touring Premium Package goes for $2,390 more. The 2019 Mazda CX-9 Grand Touring with front-wheel drive retails for $40,840 while i-ACTIV AWD® variant goes for $42,640. The 2019 Mazda CX-9 Signature is only available with i-ACTIV AWD® and retails for $45,365. Stop by El Dorado Mazda to test-drive the CX-9 today! The latest generation of the Mazda CX-9 came out in 2016. But, already for 2018, it’s receiving some great updates. These 2018 Mazda CX-9 updates include improved handling, more standard safety features, enhanced comfort for backseat passengers, and more. To improve the Mazda CX-9’s handling, it now comes standard with G-Vectoring Control. This system puts more weight on the front wheels to reduce engine torque. This makes the steering tighter and gives more control to the driver. Another update this year is the addition of standard Smart City Brake Support. This automated braking system works at speed under 19 mph and will automatically apply the brakes if it detects a potential collision. Additional standard safety features include blind-spot monitoring and rear cross-traffic alert. With additional insulation this year, the CX-9 offers an even quieter ride than before. Mazda says it has improved the comfort and arrangement of the second and third rows, which will make everyone in the family more relaxed. To learn more about the 2018 Mazda CX-9, stop by El Dorado Mazda today and take it out for a test drive. Once you experience its thrilling ride and superb standard features, you won’t want to drive anything else. Crafted to fit your every need, the new 2018 Mazda CX-9 is brimming with fresh features. You’ll find the Mazda CX-9 to be stylish, spacious, and full of advanced technology and safety features. It’s rated as a Top Safety Pick+ by the IIHS, so you’ll feel confident while driving; and, its versatility allows you to depend on in its ability to meet your various demands. Particularly notable is the addition of a some more standard safety features this year. The new 2018 Mazda CX-9 offers SKYACTIV®-VEHICLE DYNAMICS with G-Vectoring Control, which is an advanced technology that allows for more control while driving, helping you steer with accuracy and feel more intuitively connected to your vehicle. The new Mazda CX-9 also offers standard Smart Brake Support and Smart City Brake Support, which helps detect anything that may lie in your path and helps you brake to prevent or reduce collision. Also effective in helping you avoid collisions is the Advanced Blind Spot Monitoring and Rear Cross Traffic Alert—in addition to a few other lane-oriented safety technologies—which help you change lanes with more confidence. Further safety features are available upon request, but the standard features are impressive in their own right. Designed with top-quality materials and technologies, the new 2018 Mazda CX-9 will not disappoint. 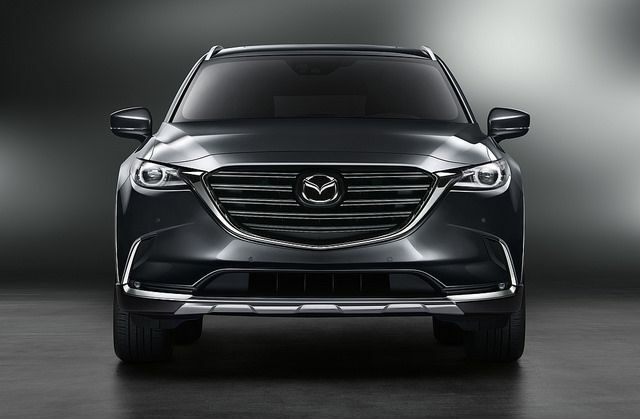 The Mazda CX-9’s new features make this model impressive at all of its trim levels. If you would like to experience the new Mazda CX-9 for yourself, come into El Dorado Mazda and take one for a drive. Is Mazda a New Luxury Brand?